We dub this one a Hat-Trick Clean Up: a triple shot of refreshing shower power, for the guy that prefers things in threes… Mild enough to use on hair, face and body – all at the same time – this 3-in-1 body wash will fast-track your grooming skills to a zesty fresh A++. A triple shot of refreshing shower power, for the guy that prefers things in three’s. 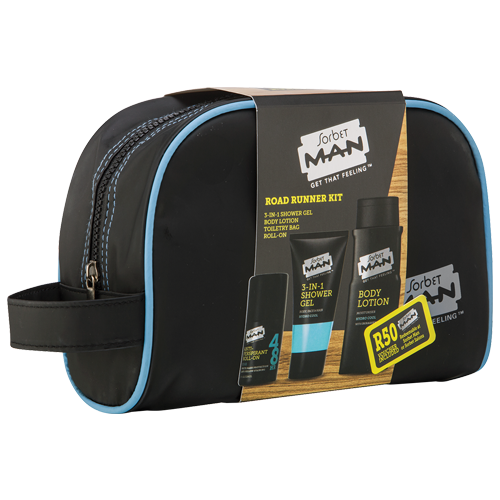 Mild enough to use on hair, face and body – all at the same time – this 3-in-1 clean-up will fast track your grooming skills to a zesty fresh A-Game. Use morning and/or night to stay confidently fresh all day long.